Assoc. 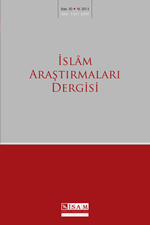 Prof. Mesut Kaya’s Çağdaş Tefsirlerde İsrâiliyat Eleştirisi (the Criticism of Isrāiliyyāt in Modern Books of Qur’anic Exegesis) in which the author deals with various issues such as historical process of Isrāiliyyāt both terminologically and contextually in Islamic literature, the biases against Isrāiliyyāt in modern age and their influence on shaping the perception of Isrāiliyyāt, criticisms towards Isrāiliyyāt and the factors bringing about those criticisms, and whether or not those criticisms are consistent, has been published by ISAM. Imam Bukhari’s hadith work al-Cāmiʿu’s-Sahīh recognized in the name of Sahīh al-Bukhari, is the oldest and full-text copy of the manuscript in the world, discovered intact and published as facsimile edition within the scope of Early Classical Period Project of Centre for Islamic Studies and with the cooperation of Manuscript Institution of Turkey. A NEW BOOK from the Project of Late Classical Period! Şeyh Bedreddin: Bir Osmanlı Fakihi (Sheikh Bedreddin: An Ottoman Jurist), the book written by Dr. Mustafa Bülent Dadaş as a PhD thesis to analyze Sheikh Bedreddin’s views on fiqh (Islamic law) in the light of his book al-Tasḥīl has been published by ISAM as part of the Project of Late Classical Period. The critical edition of Kitāb Taqrīb al-Gharīb, the book written by famous Hanafi jurist and hadith scholar Qāsim ibn Kutluboga on the science of “gharīb al-hadith” and edited by Assist.Prof. Osman Keskiner has been published by TDV ISAM under the Project of Late Classical Period. New issue of Journal of Ottoman Studies, joint work of ISAM and İstanbul 29 Mayıs University, has been published. The works which were previously published by ISAM, Abû Mansûr al-Mâtürîdî’s Kitab al-Tawheed critically edited by Prof. Bekir Topaloğlu and Dr. Muhammaed Aruci, and its annotative translation by Prof. Bekir Topaloğlu has been published as a joint publication by Presidency of Religious Affairs and ISAM. A NEW BOOK from the Project of Early Classical Period. 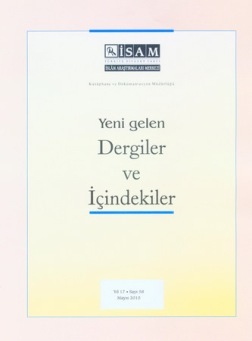 The book entitled İmam Eş‘arî’nin Kelâm Düşüncesi (Imam Ash’arī’s Theological Thought) by Hikmet Yağlı Mavil has been published by TDV ISAM Publications within the scope of Early Classical Period Project. The book sheds light on the background of Imam Ash‘arī’s success in shaping Sunni theological thinking by his perception on existence and knowledge based mostly on Mutazilites. Kitāb al-Tawḥeed is one of the primary sources of Hanafid-Māṭurid school that represent more than fifty percent of Muslim population and Islamic thought in general. New edition of Abū Mansūr al-Maturīdī’s Kitāb al-Tawḥeed Annotative Translation by Prof. Bekir Topaloğlu is introduced to the readers in its new leatherette-hardcover from. A New Book from The Early Classical Period Project! 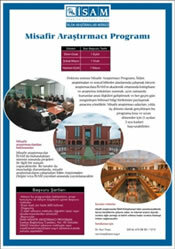 Compiled by assistant professor Abdullah Demir Abū Ishaq as-Saffār’s Kalam Method is treated considering the Saffār’s life, scholarly persona and primary sources. In this work political, socio-economical, scholarly conditions and religious, doctrinal and philosophical activities of Transaxonia area in 11th and 12th centuries, where Māṭurīdī doctrine was formed, is examined. The 2nd International Ottoman Turkish Critical-Edition Course will be organized within the scope of Late Classical Period Project between 2018, 26 June and 7 July by the Centre for Islamic Studies. İSAM’s Guide for Critical-Edition, a handbook containing the basics and guidelines for critical-edition, has been published. This book aims to illuminate the classical period of Māturīdī School’s perception of revelation and theory of interpretation by placing Imām Māturīdī at its center. In this way, it tries to establish the main principles of Māturīdī School’s perception of ta’wīl (interpretation). This book is written to point out the significance of linguistic matters which constitutes the basis of interpretation of textual sources and verbal legal transactions in the methodology of Islamic jurisprudence. 44nd issue of ISAM Bulletin has been published! 44th issue of ISAM Bulletin, which is about the activities of ISAM in 2017, has been published. This issue of the bulletin has been dedicated to the Prof. Nebi Bozkurt and Prof. M. Orhan Okay, who were among the authors of TDV Encyclopedia of Islam.